The Norht Fork Special is the ultimate 5 weight! This is the most versatile rod in the lineup. This Jack-of-all-trades will do whatever you ask of it, and do it all well. With the North Fork Special you can tie on a double nymph rig, split shot and strike indicator to trick that weary tail-water rainbow. 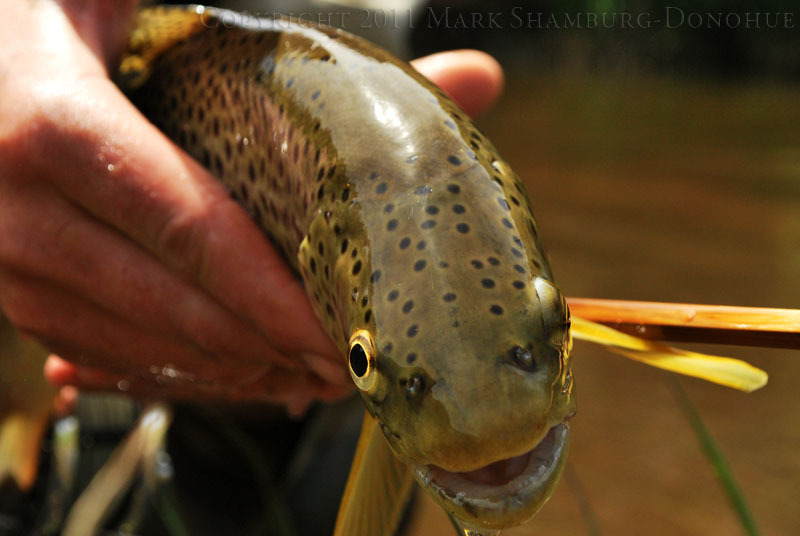 Trying to catch that aggressive brown laying under the cut-bank? Tie on a big streamer and launch it across to the far side of the river and hold on for the savage strike. And as evening approaches and the PMD spinners begin to fall onto that glassy pool, you won’t have to change rods to make that picture perfect cast to reach that subtle seam where big trout cautiously sips passing by mayflies. A moderately fast action rod, the North Fork Special has a stiff enough tip to turn over whatever you tie onto the end of it. But like all Confluence rods, it has a well balanced taper that responds perfectly to the angler’s demands.